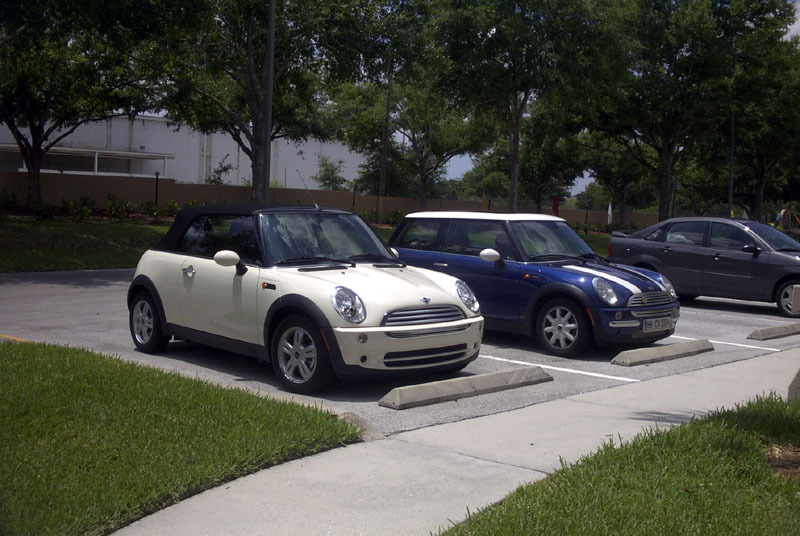 Yup - there are a few MINIs in BP, but I think I'm the only one who posts on SSM although I've tagged a couple with our biz cards. I'm the only Chili Red S that I've seen though, so if you see me around, flag me down and say hello! I won't be at our May MOO (minis of orlando) meet as I'll be out of town, but hopefully we can meet in person at a future meet. Saw a gold/gold going down I-4 East about 7:30am this morning. Got off at the EPCOT exit into Disney. 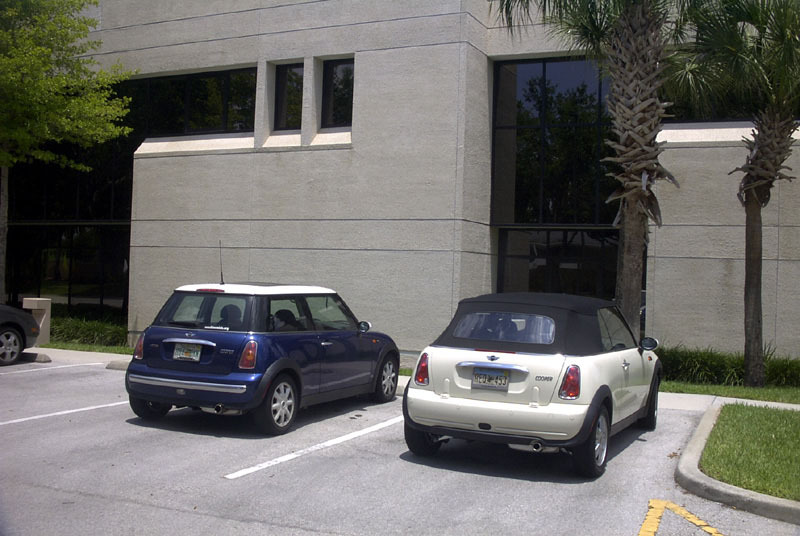 When I arrived at work today I spotted my colleague Lesley's brand new MINI Cooper Convertible which she picked up last week while I was away. She lives in Baldwin Park, coincidentally. 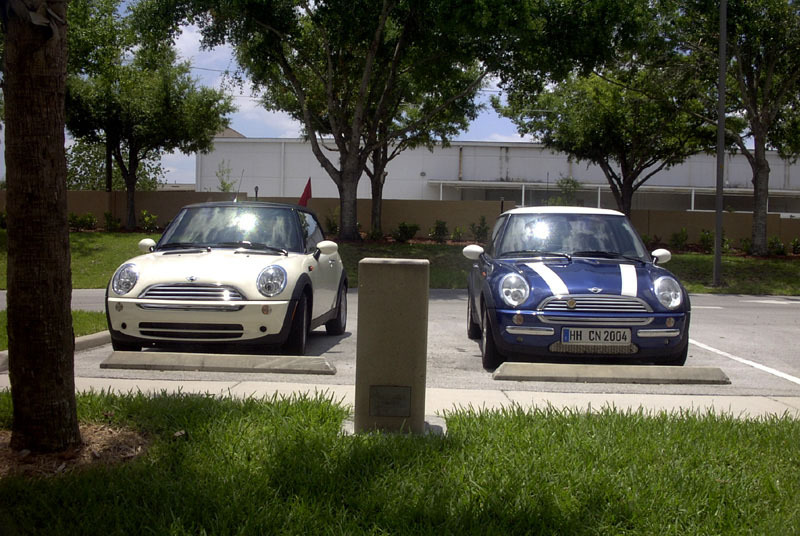 So Trevor has another MINI to keep him company everyday at work. No name for her MINI yet. Is this the same girl you were out to dinner with a few months ago, James? Unfortunately no, she is married with a kid. Trevor looks so happy in those pics. Saw a dark silver MCS at Orlando Ale House by Universal last night. Any of yours? DS/DS headed East on I-4, nice guy gave me a thumbs up! Depends on where his neighborhood is..
PS/W (male driver) at the Disney Crossroads headed towards Dr. Phillips.